OK, folks, this is such a treat for us to kick start the weekend with... a first look inside the forthcoming winter issue from Sweet Paul magazine. Many of you know that I am a self-confessed magazine addict but that addiction goes up a level at this time of year. I'll often buy magazines I wouldn't normally buy throughout the year just to see their take on festive entertaining, gifting, decorating and recipes. So, of course, I'm more than a little excited to be able to share these teasers from Sweet Paul's festive-themed issue today. 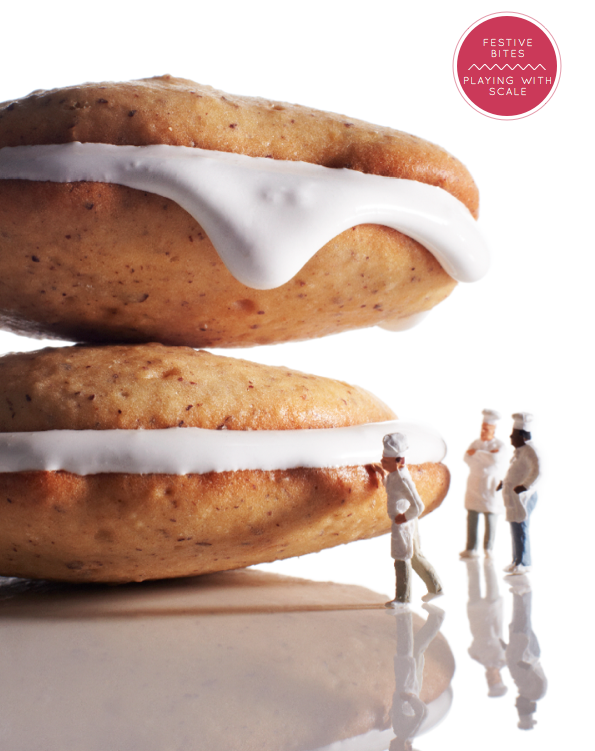 Within its 172 pages you will find recipes for Holiday cookies, edible gifts, finger-food and party cocktails. There's a tartan-themed Holiday celebration with spiced turkey and sage stuffing (yum!) and a feature on all things chocolate. 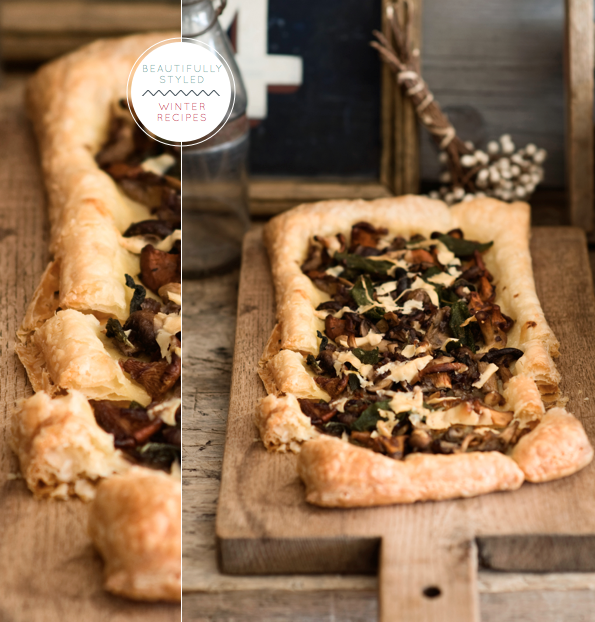 Plus, you'll also find Sweet Paul's best winter comfort food, including his favourite mushroom tart. 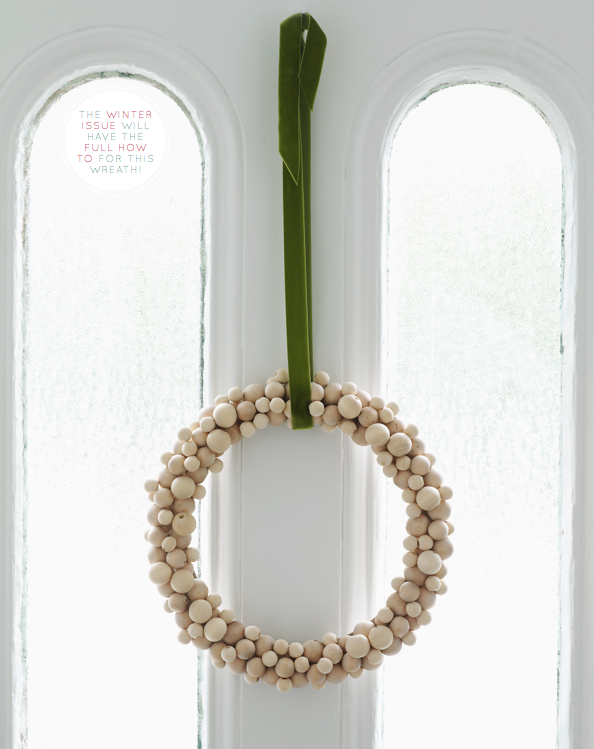 As well as foodie treats there's craft ideas aplenty, from DIY wrapping paper and wreaths to driftwood and linen makes as part of the issue's Natural Christmas story. Also, there's my usual Will's Picks feature, which offers ideas and inspiration for vintage Holiday decorating with a modern twist, including market picks for your home and tabletop. I'm excited, are you? Mark your calendars and check back here to read the full issue of Sweet Paul at 8am EST on Tuesday 15 November. Can't wait to see your picks in the upcoming issue! 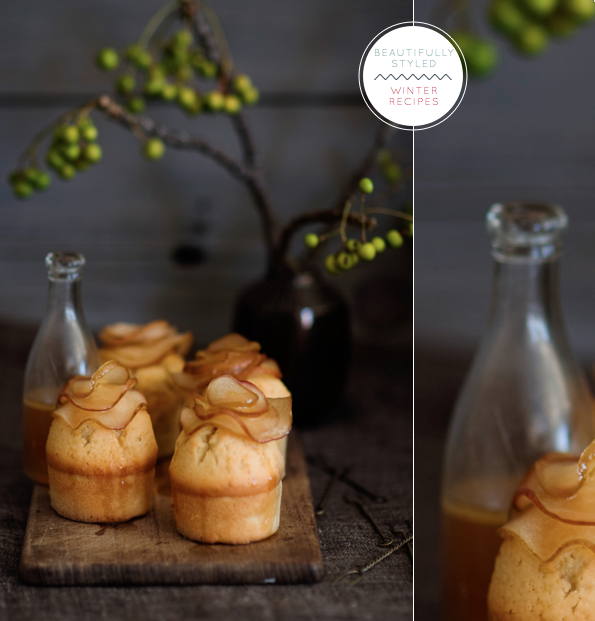 Gorgeous photos - I especially love those little muffins with the slices of apple (I think that's what it is anyway) on top so they look like flowers. I think we are kindred spirits. I love Sweet Paul, I happen to think he beyond awesome....I can't wait to see this issue fully. I pretty much buy every magazine's Christmas issue to inspire me for the holiday season. I can confess that I have Christmas issues dating back as far as 1997. I know I'm a freak but I love it it all. The mo wrap is hallarious and would be so easy to do! really looking forward to this issue! Sweet Paul is sooo inspiring. Just wish the recepies would be in Swedish :-) Other measurements and sometimes it's hard to figure out some of the ingredients. Or maybe I'm just lazy... Gives food inspiration anyway, and makes you hungry! I just fell off my chair!! WIll these are insane! LOVE so freaking much. Paul is a genius, turns the simplest of things into gorgeousness. 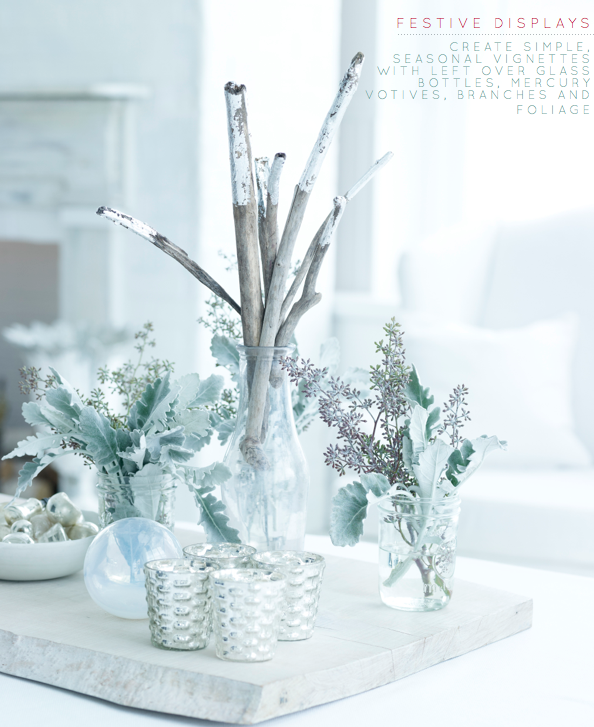 Im crazy about that festive display with branches and glass bottles..the dusty miller looks soo pretty!! Eeeks! I can't wait to see it! Sweet Paul rocks and so do you! P.S Yes, please keep your eyes open for a leather postcard "over there and I will find you a vintage Owl "over here". Oh wow thanks for introducing me to this magazine, it looks fantastic! I love magazines too. My bank balance doesn't! Looks great Will, Sweet Paul is one of my faves, looking forward to the 15th. Congratulations for your fantastic posts. I love Sweet Paul magazine! It's too inspiring. Iam so happy to find your blog...it is wonderful, wonderful pictures, wonderful moments, wonderful inspirations-THANKS! hi wiil, it's a great honor for my your visit to my blog! you are as a GURU for me! @Igor - Thanks so much, Mr! @Grace - I agree, the food styling is so well executed. @Lisa - Sweet Paul is the best digital mag out there in my humble opinion; professional, inspiring and accessible. Top marks, hey! @Michelle - And perfect for Movember, too! @Jamie - I think there is a print version of the magazine published but i'm not 100% sure what language it's in. @Manvi - The driftwood christmas vignette display was my favourite peek, too! @Kerry, Anastasia Marie, Mon - I know! Roll on Tuesday! @Hannah - We're lucky that we can read Sweet Paul for free online, hey! @Marie - It looks set to be a goodun', right! @Isabel - Thank you for reading! Pleased to hear you love Sweet Paul as much as I do! @Svenja - Thank you for your kind and generous words about the blog; delighted to have you reading it! @Veronica - Thanks for stopping by and reading. 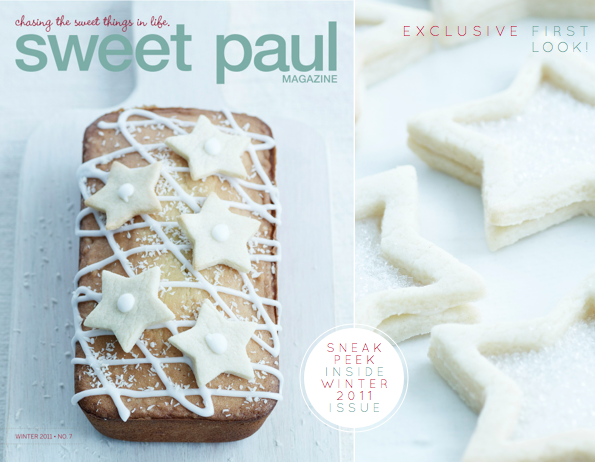 You are going to love Sweet Paul's winter issue! This is fantastic! Can't wait to read about it. I love the holidays and this be gettin' me in the mood! Christmas carols are already spinning at my home, of course! Anyway, have a wonderful weekend, Will! Thanks for always brightening up my days! I love your blog! Beautiful and inspiring pictures! @Dabito - Love that you have the carols spinning in the Dab household already! Good work, dude! @littletree - Yay! Another festive magazine lover! At least we can read Sweet Paul for free online - lucky us! @m2arquitectura - Thank you! Be sure to check out the full issue of Sweet Paul on Tuesday! Oh, my! Can´t wait to see more. It looks amazing as always. @Hilla - I guess it's the sign of a good foodie mag if you feel hungry when reading it! ;) Thanks for stopping by! @Nina - Hello! Thanks for dropping in! Isn't it great? 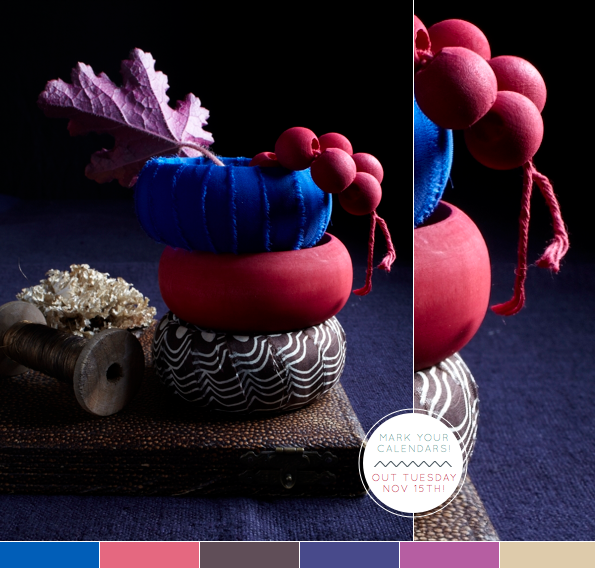 I love the mix of inspired food ideas, accessible craft inspirations and home/lifestyle features. This all looks amazing but that wreath is perfection. Can't wait for the tutorial! I think the third try will be the last. Thank you for your kind word at my blogg. 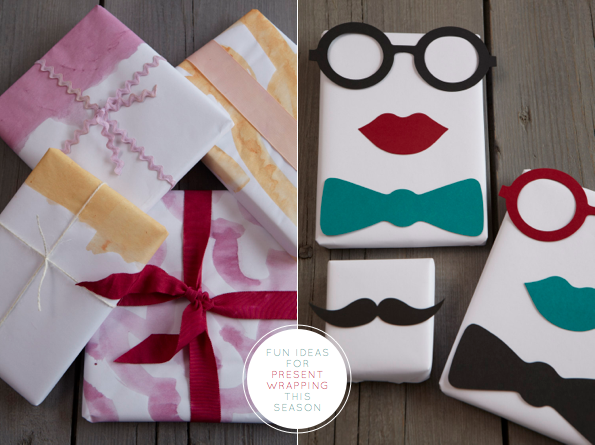 I´m also a magazine addict and, over all, a Xmas addict. I´m expecting your Xmas post. So I´m very nervous to see Sweet Paul Winter 2011. I want to try those muffins of the third picture. This looks so great! I love everything Christmas as well! That wreath is stunning!! those wrapped gifts are too much!! looks like a FAB issue! I love these pictures and the recipes seems formidable fantastics! Oh wow, looks like we are in for a treat! Looking forward to your feature Will; this little taste of the new issue is amazing! I've been waiting all week to sit down and pour over this issue. Sweet Paul is probably my most favorite online magazine. I can't wait to see your picks in it!